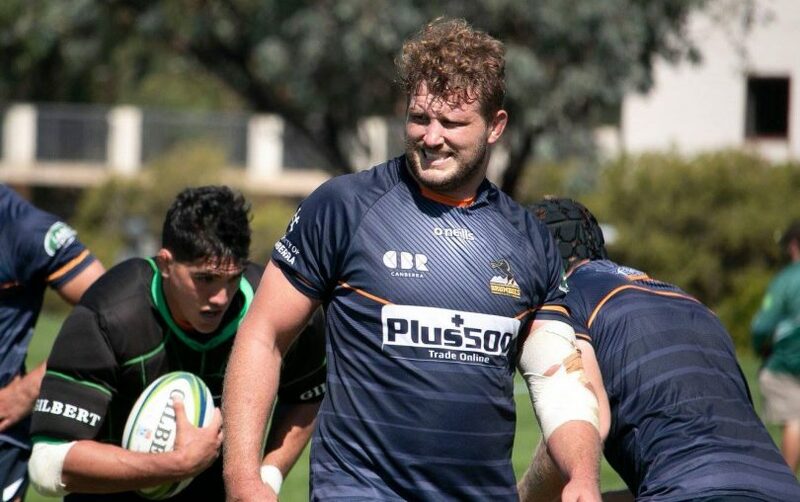 Brumbies James Slipper (foreground) and Darcy Swain (background) believe the side is capable of igniting their season. Photo: Supplied by Brumbies Rugby. If the Brumbies are to come back from across the ditch with a win under their belts against the reigning champions, it will be one of the biggest wins for the club in years. The Brumbies have won only two of their six games and are coming off the back of a disappointing 36-14 loss to the Queensland Reds, while the Crusaders are sitting pretty on top of the competition. The Brumbies haven’t won in Christchurch for nearly two decades and it will be the Crusaders first home game since the horrific terrorist attacks three weeks ago. It is one of the most intimidating road trips in recent memory for the Brumbies, but the club is viewing it at as the perfect opportunity to ignite their Super Rugby season. The Brumbies have had two weeks to stew on their miserable effort against the Reds, which lock Darcy Swain said led to a long, hard look in the mirror. “We had an honest review and conversation last week,” he said. “Some of the boys had some hard-hitting and honest questions to ask themselves personally. Not many people have given the Brumbies a chance of winning on Saturday afternoon against the club Swain described as “gold standard” and the “No. 1 club side in the world”. The Brumbies will be without a long list of Wallabies representatives, who will be rested as per an agreement with Rugby Australia. Rory Arnold, Folau Faingaa and Scott Sio are set to be rested while David Pocock’s name is unlikely to be read out on the team list as he struggles to overcome a calf complaint. Despite the growing number of hurdles the Brumbies must overcome, prop James Slipper said the club needs to do three things to topple the competition-leading side: back themselves, train hard and execute on the day. “We will respect the Crusaders for what they are,” he shared. “We need to play our best game, there is no point looking at what they can do because everyone knows what they can do. “It’s about turning up and playing a game that we are proud of, walking off the field knowing that we have done everything we can. We believe as a group when we do that we can be competitive, if not win the game.